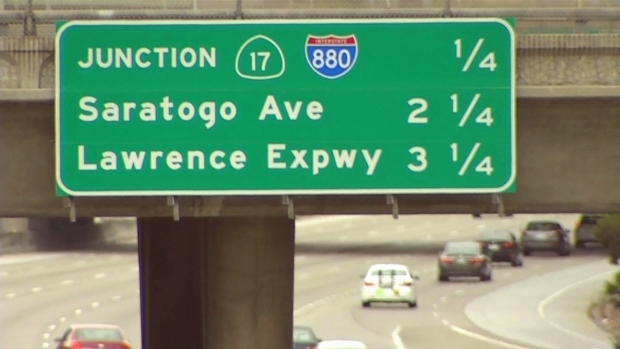 A sign on Interstate 280 in San Jose has been corrected to read "Saratoga Ave" instead of "Saratogo Ave."
A freeway sign along Interstate 280 in San Jose that inadvertently renamed Saratoga Avenue, making it "Saratogo Ave," has been fixed, Caltrans said. Caltrans crews unveiled the corrected sign Thursday. Caltrans said a contractor made the mistake and would be charged for the repair. A sign on Interstate 280 in San Jose misspells Saratoga as "Saratogo."